‘Media Piracy in Emerging Economies’ a large-scale study of music, film and software piracy in emerging economies, with a focus on Brazil, India, Russia, South Africa, Mexico and Bolivia, tells two overarching stories: one tracing the explosive growth of piracy as digital technologies became cheap and ubiquitous around the world, and another following the growth of industry lobbies that have reshaped laws and law enforcement around copyright protection..
Based on three years of work by some thirty-five researchers at the Social Science Research Council, the study argues that these efforts have largely failed, and that the problem of piracy is better conceived as a failure of affordable access to media in legal markets. – Prices are too high: High prices for media goods, low incomes, and cheap digital technologies are the main ingredients of global media piracy. Relative to local incomes in Brazil, Russia, or South Africa, the retail price of a CD, DVD, or copy of MS Office is five to ten times higher than in the US or Europe. Legal media markets are correspondingly tiny and underdeveloped. – Competition is good: The chief predictor of low prices in legal media markets is the presence of strong domestic companies that compete for local audiences and consumers. In the developing world, where global film, music, and software companies dominate the market, such conditions are largely absent. – Anti-piracy education has failed: The authors find no significant stigma attached to piracy in any of the countries examined. 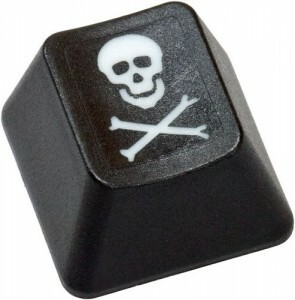 Rather, piracy is part of the daily media practices of large and growing portions of the population. – Changing the law is easy. Changing the practice is hard: Industry lobbies have been very successful at changing laws to criminalise these practices, but largely unsuccessful at getting governments to apply them. There is, the authors argue, no realistic way to reconcile mass enforcement and due process, especially in countries with severely overburdened legal systems. – Criminals can’t compete with free: The study finds no systematic links between media piracy and organised crime or terrorism in any of the countries examined. Today, commercial pirates and trans-national smugglers face the same dilemma as the legal industry: how to compete with free. – Enforcement hasn’t worked: After a decade of ramped up enforcement, the authors can find no impact on the overall supply of pirated goods.